Spring/Summer 2017. That’s air, earth, water and fire. The balance of Nature in its colours and shapes. 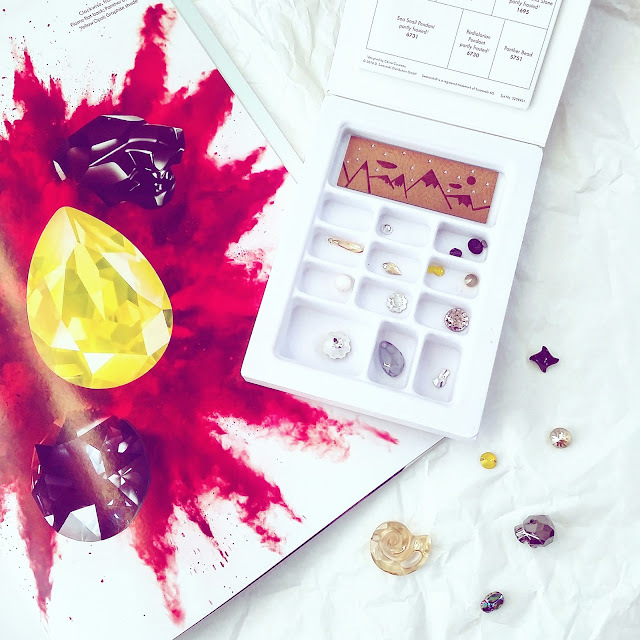 Swarovski has launched Crystals and Pendants with this Innovation Box, that virtually promise a way back to the roots. Within four posts we would like to share the Innovations with you, work on DIY Ideas with you and celebrate the upcoming summer. When it comes to us, we just can’t wait for summer to come. How about you? Are you having the wanderlust syndrome already? Spring/Summer 2017. Das ist Luft, Erde, Wasser und Feuer. The Balance of Nature in Formen und Farben. Swarovski hat mit dieser Innovationbox Kristalle und Anhänger gelauncht, die Back to the Roots versprechen. In 4 Posts wollen wir die Neuheiten mit Euch teilen, mit Euch an DIY Ideen arbeiten und schon mal den Sommer zelebrieren. Denn den können wir kaum noch erwarten, und Ihr? Habt Ihr auch schon ein akutes Fernweh-Syndrom?